Learning English gives you fantastic opportunities and it is your chance to communicate confidently around the world. Study regularly and you'll feel constant progress. 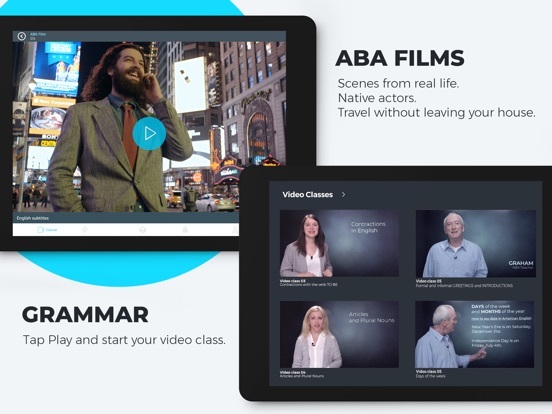 Join more than 25 million students at ABA English! We teach English based on the principles of the natural method - just like learning English in real life! 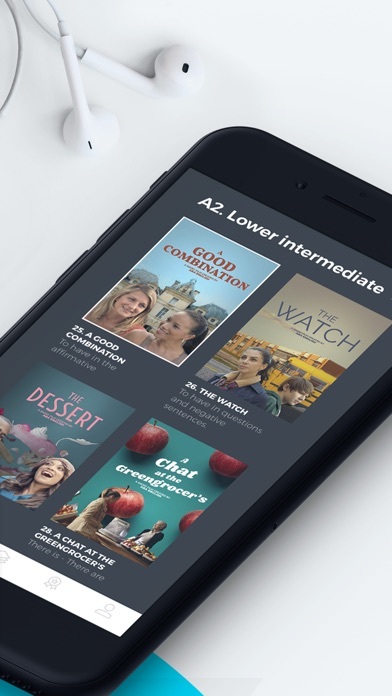 Improve your understanding by watching our ABA films or practise through a variety of writing, speaking, and listening exercises. Get valuable advice from your personal native English tutor. We all have different reasons for learning English: travels, work purposes, get to know people from all around the world. What is your reason to learn English? Did you know that about 4,000 words are added to the English dictionary each year? Or that there are 1 billion people studying English? Let’s start to learn English today! Would you like to learn in an effective, flexible, and natural way? 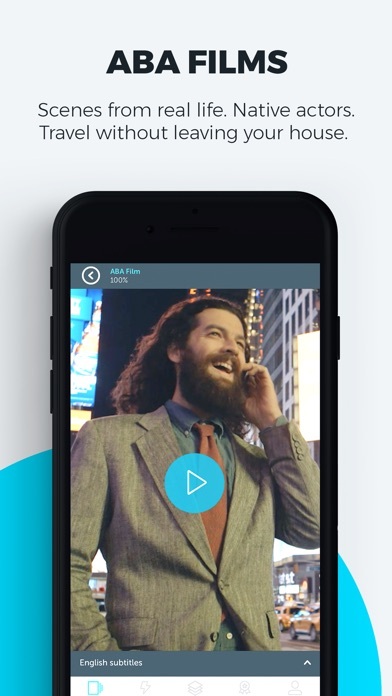 Try the online English course for FREE for 7 days! We are sure you will like it! * To get access to the full course, sign up for the plan that best suits your needs. 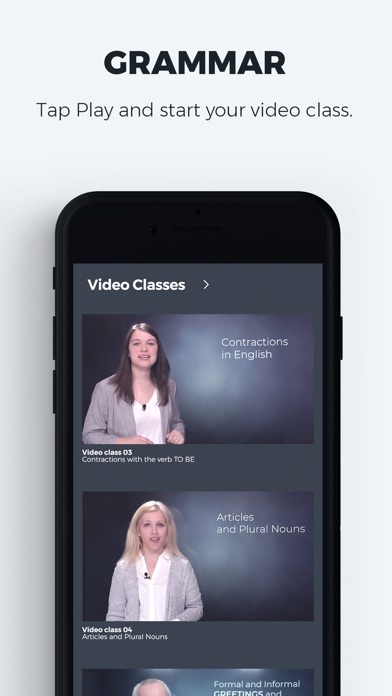 The best way to learn common expressions, vocabulary, and grammar in English is by watching our exclusive short and feature-length films. 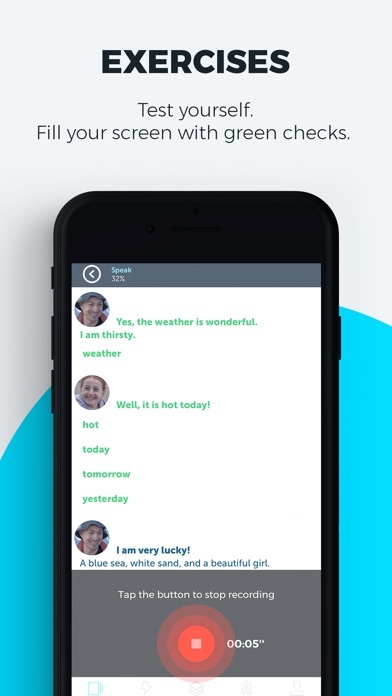 Practise English with short learning activities about useful everyday topics. 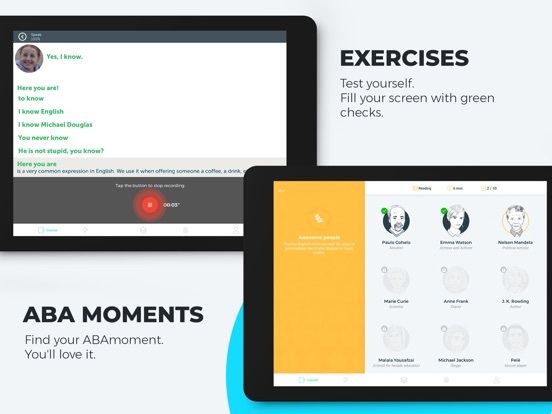 New ABAmoments will be released five times a week, providing you with a dynamic learning process. 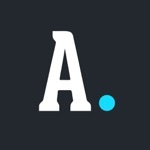 An effective and entertaining online academy providing you with all the necessary English grammar. 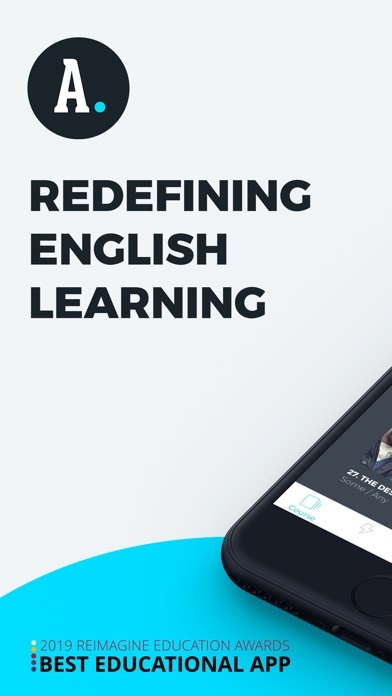 A native English tutor will guide you through the process towards achieving a higher level of English by teaching you new expressions, providing you with specific vocabulary, and giving you tips on how to improve. 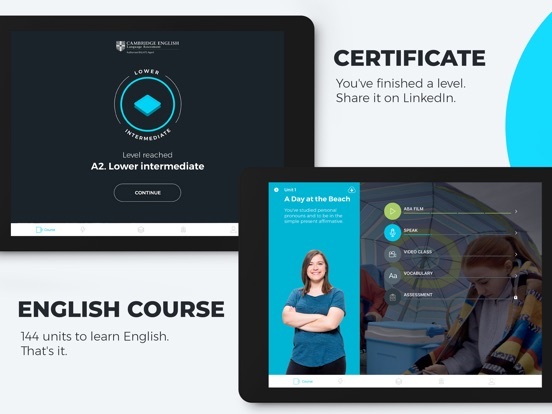 A course adapted for each English level: Beginners (A1), Lower Intermediate (A2), Intermediate (B1), Upper Intermediate (B2), Advanced (B2/C1) and Business (C1). Which level are you at? For each English level completed you will receive an official ABA English certificate. As a Premium student, you will have the possibility to access the full course and functionalities without an internet connection. No more excuses for not studying when you are on a desert island. Measure your progress with an assessment as you complete each unit. 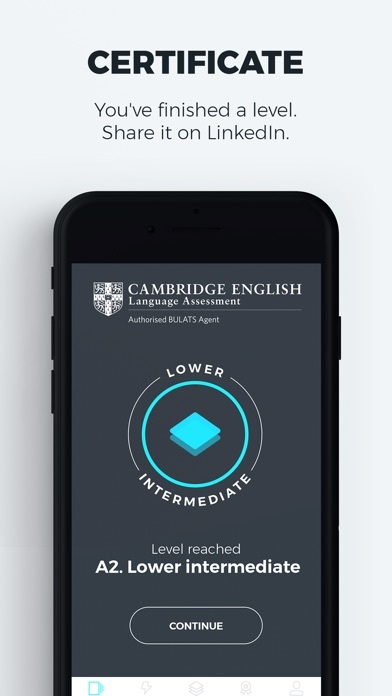 Are you improving your English? 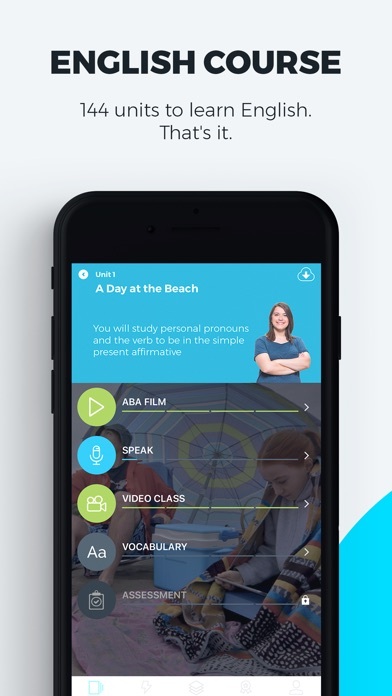 Linguistic experts from important universities around the world agree that ABA English is a delightful app to learn English. 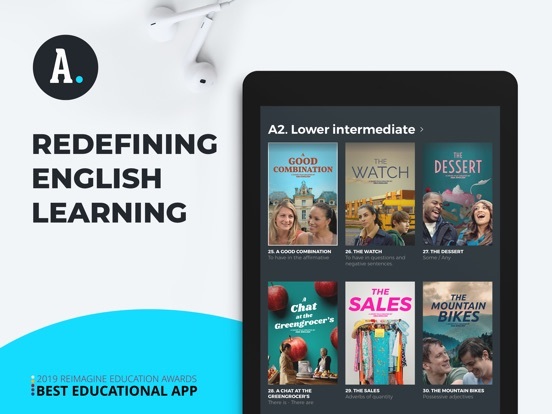 Based on the principles of the natural method, we have created a system for English learning that simulates the same learning process that you experience when travelling abroad to study. 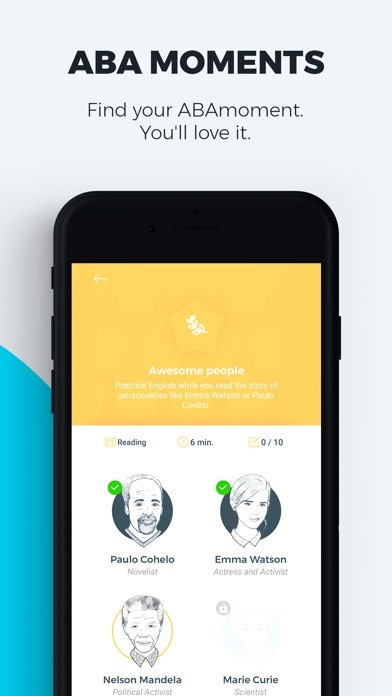 Learn English by listening > understanding > speaking > writing > practising. All subscriptions are automatically renewed unless auto-renewal is turned off at least 24-hours before the end of the current period. Your account will be charged for a renewal within 24-hours prior to the end of the current period at the renewal price. However, if you deactivate automatic renewals, your access to the course content will end when your current subscription expires. Subscriptions may be managed by the user and auto-renewal may be turned off by going to the user's account settings after purchase. Payment will be charged to your iTunes Account at confirmation of purchase.